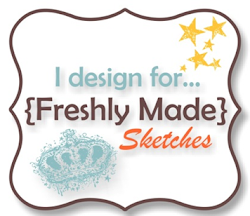 Bit excited about this post as it’s my turn to host at Freshly Made Sketches this week. I love seeing everyone’s interpretation of our sketches. I do have to tell you though – I’m never fully happy with my sketches as I tend to rush them. Next time I’m going to get myself more organised and have it completed well ahead of time. 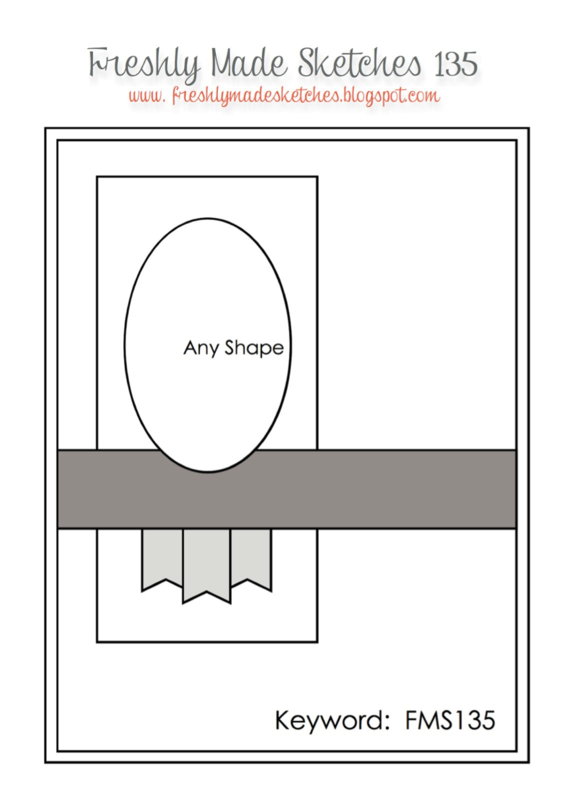 The Clean Team have created fabulous cards with my sketch – head over to Freshly Made Sketches and take a look. While you’re there we would love for you to link up a card. The sketch is terrific and the b/w is so striking and stylish! Just the touch of Bermuda Bay on the flowers is beautiful! Great color combo! This card is beautiful. Thanks for sharing. Wow! I love how the Bermuda Bay just pops those flowers right off the front of your card! This is bold and graphic and sweetly elegant all at the same time! Thanks for giving us a great sketch! What a great combination of graphic and delicate! I love how you can mix anything together and make something totally beautiful! Thanks for the great sketch this week! 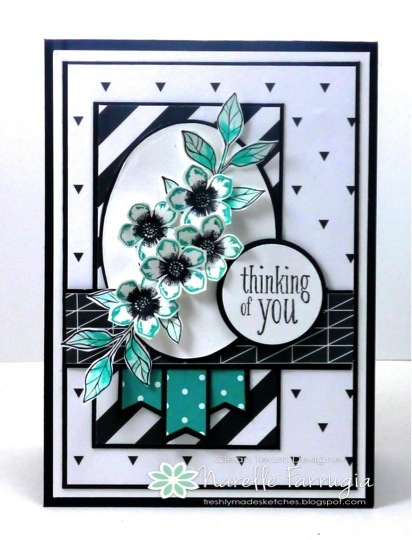 I love anything with black & turquoise….very pretty! Love that DP too! I tried to send you an email about CASING my card (I would love to have you CASE it!) but your email bounced back, and I can’t find one for you! 😦 But feel free to, and thanks for stopping by my blog too! Fabulous sketch, Narelle, and fabulous card! The colours are so striking and I love the touch of Bermuda Bay on the leaves – genius! I loved the sketch this week, Narelle! You totally hit on some of my favorite colors with this one. Love the Bermuda Bay! Beautiful card Narelle and a fabulous sketch! I love black and white look with the pops of turquoise! Those flowers are amazing! A hit as always! Oh my gosh! Those flowers in Bermuda Bay against the black and white is so stunning. One of my favorites!